In this chapter, you will learn the introspection abilities of Ruby in the context of Ruby Object Model. We will query for ancestors. Class hierarchy determines the method look-up in Ruby. We already know that class Object is the super class of any user defined class. Let&apos;s define a greet method by opening the Ruby&apos;s built-in Object class. Let&apos;s create a class and call the method greet() on it. The variable g has an instance of Greeter class. 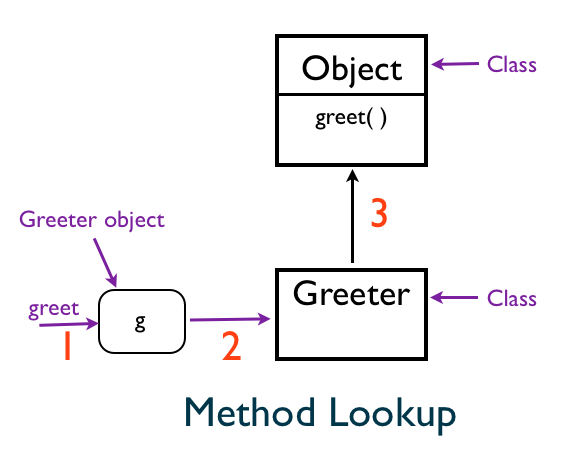 When we call the greet() method, the value of self changes to the Greeter object g. Then Ruby looks for the greet() method in the Greeter class. It does not find it there. It goes to the super-class of Greeter which is the Ruby&apos;s built-in Object class. 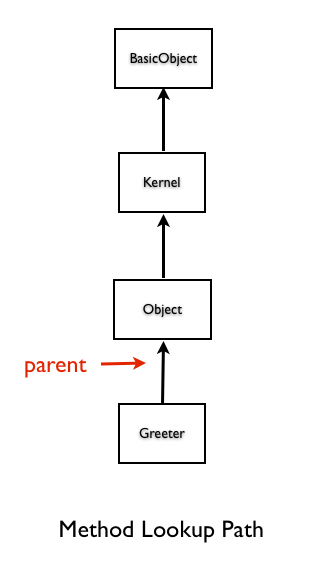 It finds the greet() method in Object class, it calls that method. In this chapter, you learned the introspection abilities of Ruby in the context of Ruby Object Model. We were able to query for ancestors. Why do we need to worry about class hierarchy in Ruby? Because it determines the method look-up in Ruby.